You’ve just spent a small fortune on a new graphics card, enough to travel to Thailand and back, but for 4K gaming it’s worth it. And the moment you experience the explosive, gritty realism of Battlefield 1 or the jaw-dropping beauty of The Witcher 3 at 3840x2160 resolution, you’ll never look back. There’s no denying 4K is the future of gaming, but it’s still so expensive to experience, or at least it was. Having just arrived in SA, the LG 27UD58 is spec’d to impress, sporting a 27” IPS display, FreeSync technology and curves you can’t ignore. And you won’t believe the price. 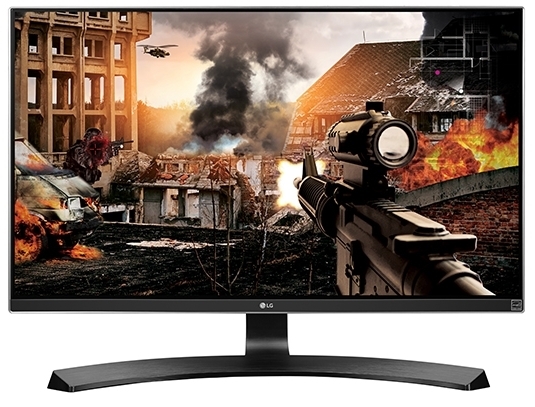 Like any great Ultra HD IPS display, the LG 27UD58 is designed with gamers in mind; that’s what the FreeSync is for. FreeSync, which synchronises the monitor with your graphics card, means no more unsightly torn frames or choppy gameplay. The other party trick of the LG 27UD58 is Dynamic Action Sync, which reduces input lag to less than 9.7ms. That means that the moment you move your mouse, your game character or crosshair is going to respond immediately. As part of the package, you can also expect Game Mode, which lets you select between several macro settings that adjust the monitor to suit the game or genre. You can even create your own custom macros. And last but certainly not least, with a 4K resolution and unbelievable colour recreation, games will never have looked better. 4K gaming consoles like the PlayStation Pro or graphic cards created for gaming at the highest possible resolution aren’t cheap. They’re investments, so for many it’s hard to justify spending just as much on a monitor. Fortunately, the LG 27UD58 has a recommended retail price of just R6 999. It’s the sort of monitor that’s going to attract friends from far and wide to see what all the fuss is about. And once they do, they’ll be convinced 4K gaming is here to stay.